For ither uises, see Faiyum (disambiguation). 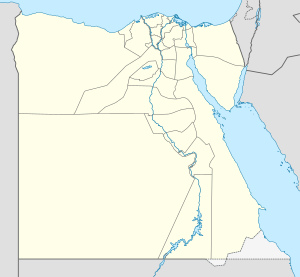 Faiyum (Arabic: الفيوم‎ Fayyūm, Coptic: 'Ⲫⲓⲟⲙ Paiom) is a ceety in Middle Egyp an the caipital o the Faiyum Govrenorate. It is locatit 130 km soothwast o Cairo an occupies pairt o the auncient steid o Crocodilopolis. Foondit in aroond 4000 B.C., it is the auldest ceety in Egyp an ane o the auldest in Africae. Its name in Inglis is an' a' spelled as Fayum, Fayoum, Al Fayyum or El Faiyūm. Faiyum wis previously offeecially named Madīnet el Faiyūm (Arabic for The Ceety o Faiyum). The name Faiyum (an its spellin variations) mey an' a' refer tae the Faiyum Oasis, awtho it is commonly uised bi Egyptians the day tae refer tae the ceety. The modren name o the ceety comes frae Coptic 'Ⲫⲓⲟⲙ /Ⲡⲉⲓⲟⲙ efiom/peiom (whence the proper name Ⲡⲁⲓⲟⲙ payom), meanin the Sea or the Lake, which in turn comes frae late Egyptian pA y-m o the same meanin, a reference tae the nearbi Lake Moeris. Faiyum haes several lairge bazaars, mosques, baths an a muckle-frequentit weekly mercat. The canal cried Bahr Yussef runs throu the ceety, its banks lined wi hooses. Thare are twa brigs ower the river: ane o three airches, which cairies the main street an bazaar, an ane o twa airches, ower which is biggit the Qaitbay mosque, that wis a gift frae his wife tae honour the Mamluk Sultan in Fayoum. Moonds north o the ceety merk the site o Arsinoe, kent tae the auncient Greeks as Crocodilopolis, whaur in auncient times the sacred crocodile kept in Lake Moeris wis worshipped. The centre o the ceety is on the canal, wi the fower waterwheels, that are adoptit bi the govrenorate o Fayoum as its naitional seembol, thair chariots an bazaars are easy tae spat. Portrait o a man, ca. 125-150 AD.. Encaustic on wid; 37 x 20 cm. Faiyum is the soorce o some famous daith masks or mummy portraits paintit durin the Roman occupation o the aurie. The Egyptians continued thair practice o buryin thair deid, despite the Roman preference for cremation. While unner the control o the Roman Empire, Egyptian daith masks wur paintit on wid in a pigmentit wax technique cried encaustic—the Faiyum mummy portraits represent this technique. While commonly believed tae represent Greek settlers in Egyp, the Faiyum portraits insteid reflect the complex synthesis o the predominant Egyptian cultur an that o the elite Greek minority in the ceety. Undisputit remains o early anthropoids date frae the late Eocene an early Oligocene, aboot 34 million years ago, in the Fayyum aurie, soothwast o Cairo. Ane o the earliest fossil primates at Fayum is Catopithecus, datin tae aroond 35 million years ago. Tefta Tashko-Koço, well kent Albanian sangster wis born in Faiyum, whaur her faimily lived at that time. Falling Rain Genomics, Inc. "Geographical information on Al Fayyum, Egypt". Retrieved 2008-03-29. Wikimedia Commons haes media relatit tae Fayum mummy portraits.